Over the last few months, the administrative team at the hospital where we serve has been preparing to open the emergency department at our facility. 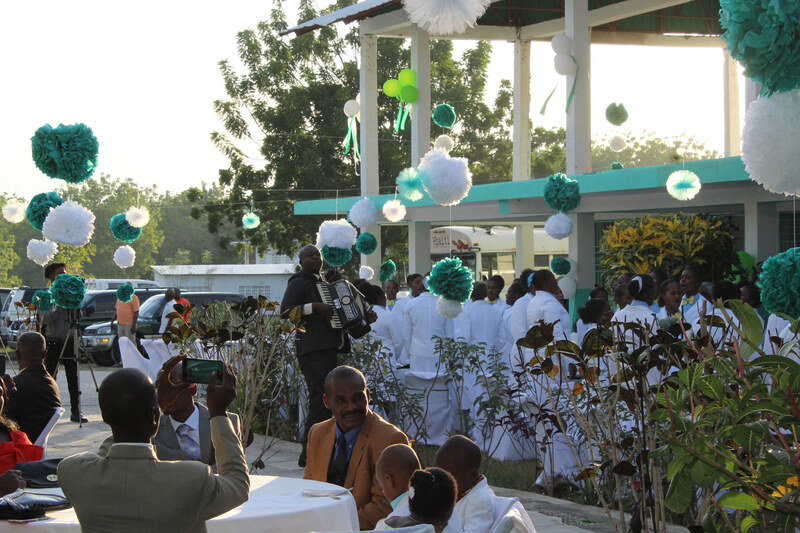 The time of the opening was drawing near and as often happens in Haiti, it seemed as if things would not even be close to being prepared on time. The community had been invited to an open house on the January 13, prior to the January 15 opening of the ER. As of the morning of the 12th, two areas of the hospital still had tile that was being laid, painting was only about 75% finished in several areas, and the trash blowing around the yard resembled a nice snowfall in our native Indiana. When asked, my staff kept saying, “don’t worry!” But I did worry. Too many things were left undone with too little time to do them. At the close of the clinic day on the 13th, work to finish the facility continued in earnest. Approximately 20 members of our staff began working like ants at a picnic and several members of the local church descended upon the place with broom, mops, rags, and capable hands. The community and the staff came together and worked, and worked some more, and then several of them spent the night at the facility so the work could continue in shifts. The next morning (the morning of the big community celebration) more people came to work on the area around the hospital, picking up trash, pulling weeds, and generally sprucing up the place. Food was prepared for the guests and about an hour before the scheduled time to begin the celebration, the painters and the tile layers finished their jobs. The senators, magistrates, local VIPs, and the rest of us began arriving to what looked like a long-finished project. Several people commented about my needless worrying as the event went off without a hitch. The pride the community had was evident in their involvement. The belief in the project was echoed by all in attendance as our staff excitedly gave tours, highlighting their efforts and the medical assistance to come for so many. As the evening wore on, the servers served, the politicians spoke, the VIP’s schmoozed, and Kathy and I were impressed with our staff and community. Recently, some negative comments about Haiti have bounced around the US press. I doubt that the ones who allegedly spoke the comments have really spent time getting to know the people of Haiti who have welcomed us into their homes, their families, and their lives without any hesitation. If only the negative-talk perpetrators could have seen the wonderful evening of celebration that we shared that evening!!! 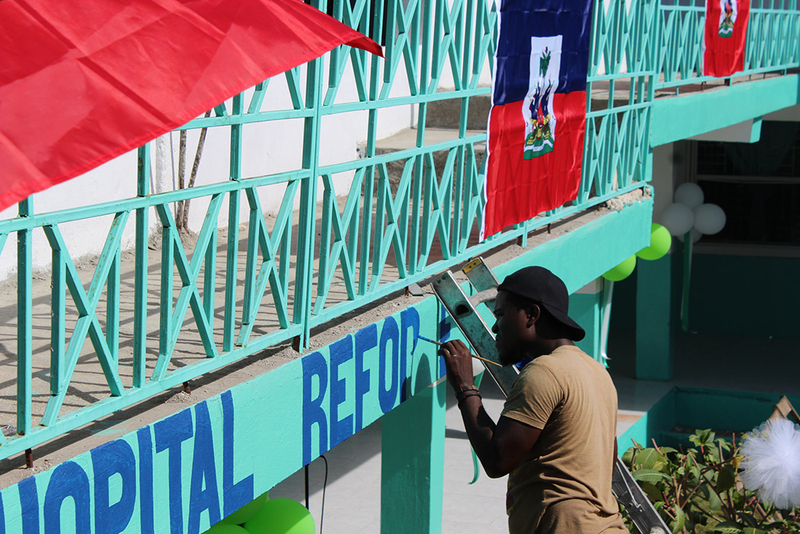 Our small hospital, our Haitian friends, our Haitian staff, and the country of Haiti all have their faults, and can improve. We know that. In Anderson, IN, where we lived for a few decades, our small hospital, our Anderson friends, our Anderson neighbors, and the United States all have their faults and can improve. What is great is that we can work together as a global community, with a purpose and a goal to improve our circumstances. Our hope is that we can be One world, under God with liberty and justice for all!